Our host George was kind and helpful. We felt at home at Anatoli. Good view from the room, Closed to the beach! 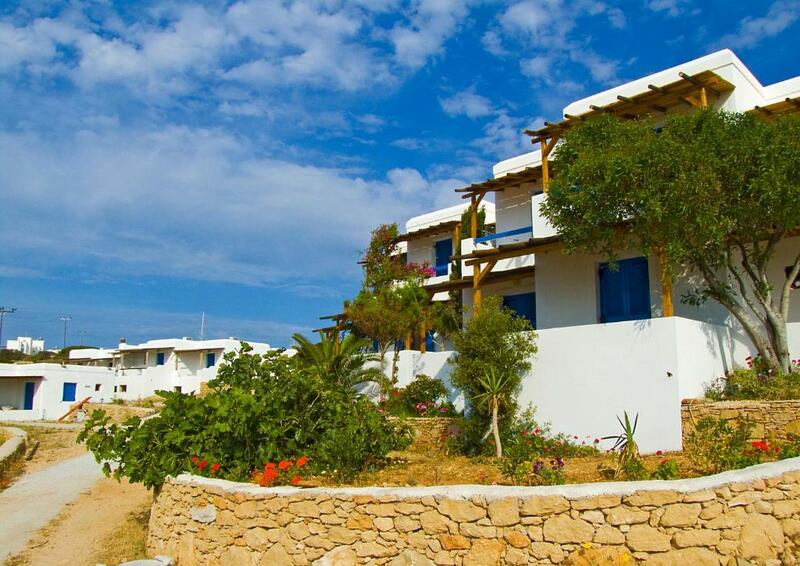 You can walk just 5 min to the closest beach and a restaurant. I had no time but You can go to the Poli beach by ferry. The staff picked us up to the port and he was so kind. I wanted to stay more... next time I would like to come back and stay here for one week! The view was amazing!! The host (George..?) was very kind and welcoming when he picked us up from the port. Clean rooms and nice beds. Relaxing location with quiet environment and beaches nearby, and walking paths started very close to the hotel. We enjoyed our stay! Lovely room with a beautiful view a minute away from the beach and restaurant. Georgi is an amazing host who meets you at the ferry and brings you to the apartment and also gives you a ride back when you leave. The room is very clean, girls come to clean it every day. All necessities provided, even gas heater for coffee! 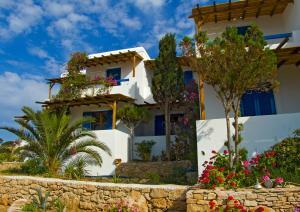 The hotel is about 15 minutes away from the village, nice walk by the sea or rent a bike from Georgi for €5. I came for one day, but stayed longer because I loved the island and my room so much! Highly recommend this place. The host was very polite and attended to all our needs and requests. Without us asking, he even picked us up at the port and drove us to the room. He also gave us one more lift by chance, as he happened to be there when we were about to go to the town. 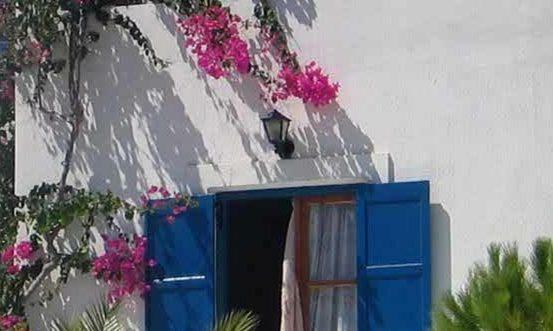 the place is perfect for 3 persons.. very well located, close to one of the best taverna in the island and close to the best beaches.. highly reccomended for a family or 3 persons. 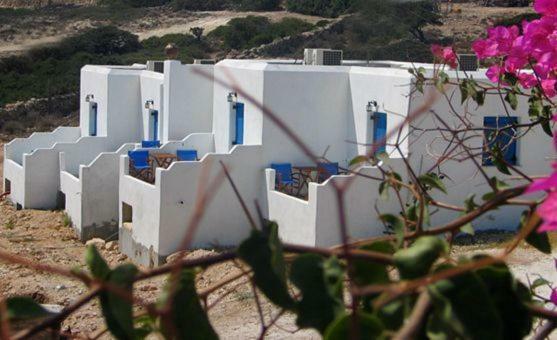 The hotel is good located, in front of the sea and 15 minutes walking from the city center. The quite atmosphere and the relxing place is very good for your sleeping. At the end of the street there is a nice bar that makes breakfast, lunch and dinner and gives you a very nice sight to the sea. The room is simple and has the necessary to stay (fridge, bathroom ok but no curtain in the shower). I suggest this place for all the people want to relax and stay away from the caotic life. Amazing service and advice from Giorgos! Hotel is right next to FILAKAS BEACH 10/10! Lovely surprise to be collected from our boat by George (Clooney - haha) and taken by minibus to the resort (it's not really a hotel as such - a series of lodges). The location of the room was perfect. The room was small and simple with a large terrace and a wetroom. Surf lodge style I would say. The aircon worked fine and there was a fridge, wardrobe and a good hairdryer (sometimes hard to find in a hotel room!). The view from the room was amazing!! 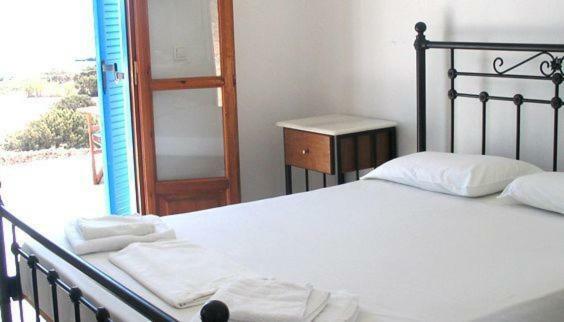 Lock in a great price for Anatoli Hotel – rated 8.4 by recent guests! 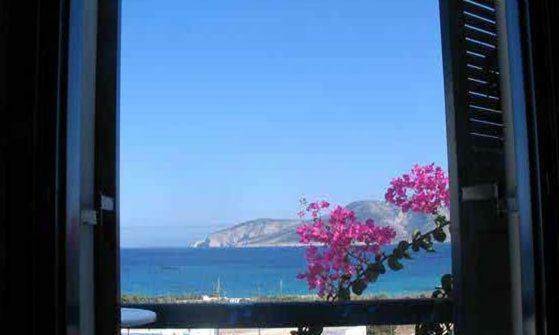 Just 300 feet from Charakopou Beach, Anatoli Hotel offers rooms and studios with a furnished balcony offering unobstructed views of the Aegean Sea. 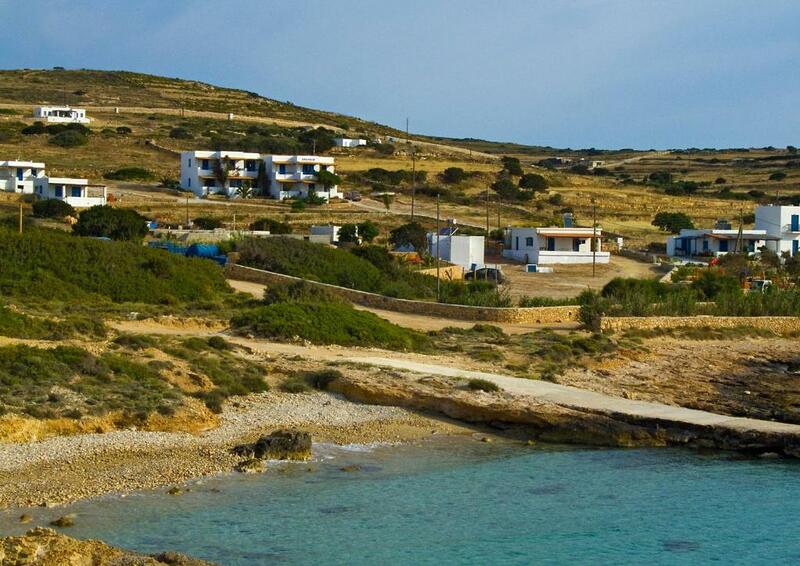 The port and main town of Koufonisi are half a mile away. Anatoli rooms and studios come with a TV, fan and a private bathroom with shower. Some units also include a kitchenette with mini fridge, where guests can prepare a quick meal. The scenic, sandy beach of Pori with its 2 beach bars is around a 5 minute walk away. 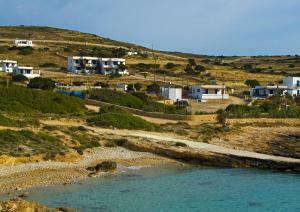 In the main town of Koufonisi, you will find traditional taverns, seaside bars and mini markets. Free round-trip transportation from the port is available. 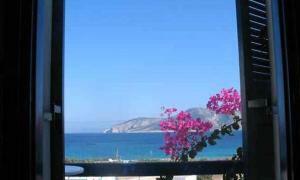 뀐 Located in the top-rated area in Koufonisia, this property has an excellent location score of 8.4! 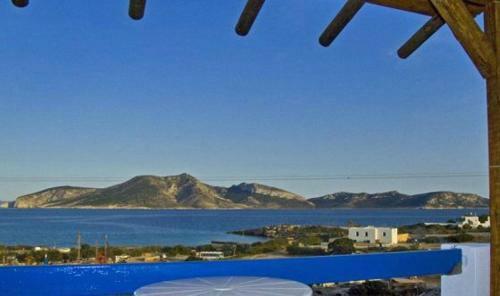 Offering unobstructed views of the Aegean Sea from its balcony, this room includes a TV, fan and private bathroom. Offering unobstructed views of the Aegean Sea from its balcony, this studio includes a kitchenette with mini fridge, TV, fan and private bathroom. Everything was quite fine and nice. Location could have been better, little too far from supermarket but it was a nice walk to village so it didnt mind. There is some sort of wrong information about the location of the rooms. The location shown on booking.com, which seems to be in the town, actually refers to the reception office only. The rooms (at least the one we stayed at) were located significantly further outside the town (about 15-minute walk). Fortunately we stayed only for 1 night and received a couple of lifts by the owner, so it was not a big deal. Nothing really. It has all you need for a very decent price. Location, views, quiet area and value for money. I can only suggest to increase the hotel services, for example water in the fridge, bathroom more efficient, but nothing more given that the philosophy is that the simplicity is the best to live. Lovely simple room with view of the sea! Great location at an even greater price! Excellent location, close proximity to main town and few meters from the beach. The room was very quiet, comfortable and clean. The owner was extremely helpful as he picked us up and dropped us off from/to the port upon arrival and departure. Felt right at home as soon as we stepped onto the island.